Last week I shared my pattern for a Calorie Free Chocolate Bunny perfect for filling Easter baskets. 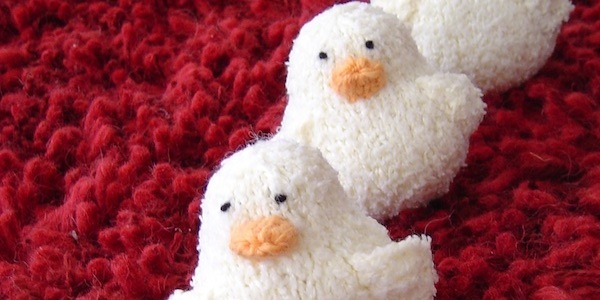 I want to remind you of another sweet, free Easter pattern, Easter Peeps/Duckling. This is one of our most popular patterns of all time. These little guys are cute and cuddly. They can be knit up in all different yarns, from bouclés to fun fur. It’s a great little stash buster. Over 300 people have made these on Ravelry and it is so fun to see they ways they changed the pattern up, turning it into bluebirds, penguins and bunnies. 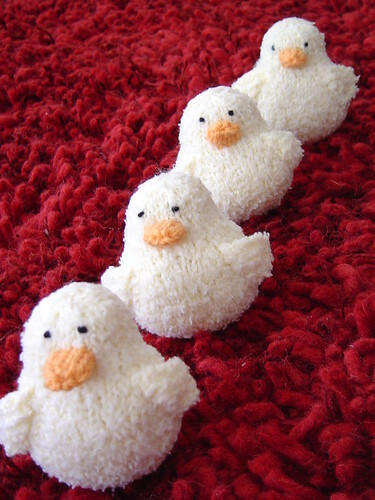 One knitter even kindly shared her additions for turning it into a rooster or bunny, so we could add it to the pattern. 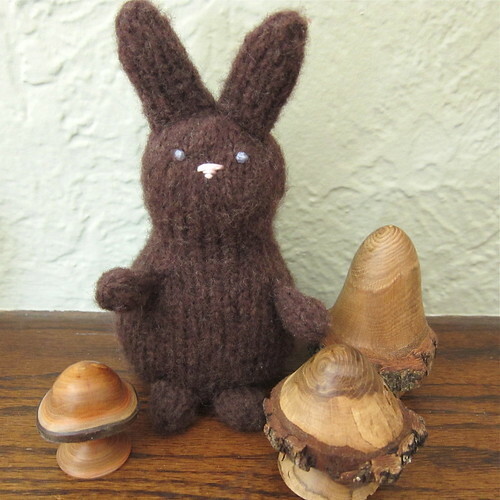 If you knit up any bunnies or chicks this Spring we’d love to see the results in our Flickr group.